A Tampa Bay Buccaneers player stopped at a local Applebee’s for a late-night meal on Christmas Eve after playing in Charlotte earlier in the day. Defensive tackle Sealver Siliga asked the manager how many people were working, he left a $US1,000 tip, $US100 for each employee. Christmas came a few hours early at one Applebee’s restaurant in Tampa, Florida. 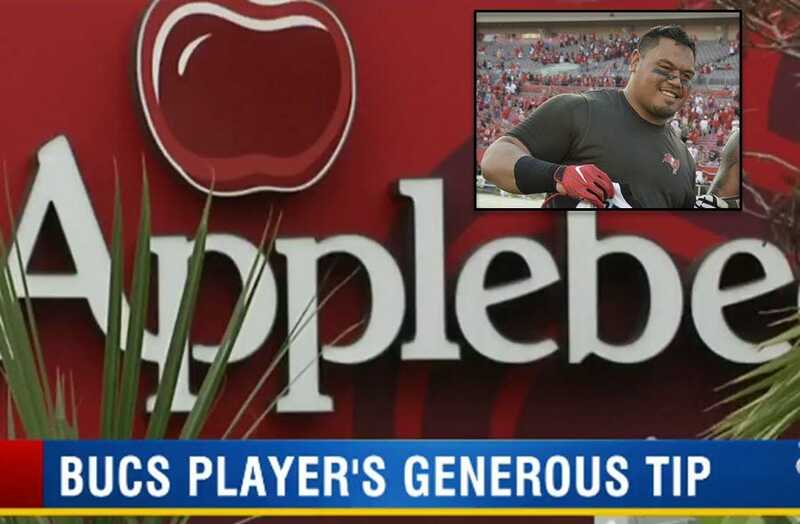 After the Tampa Bay Buccaneers returned from Charlotte on Christmas Eve, Bucs defensive tackle Sealver Siliga and three friends stopped at a local Applebee’s for a late-night meal. After dining, Siliga left a massive $US1,000 tip on a $US250 tab,according to Jenna Laine of ESPN.